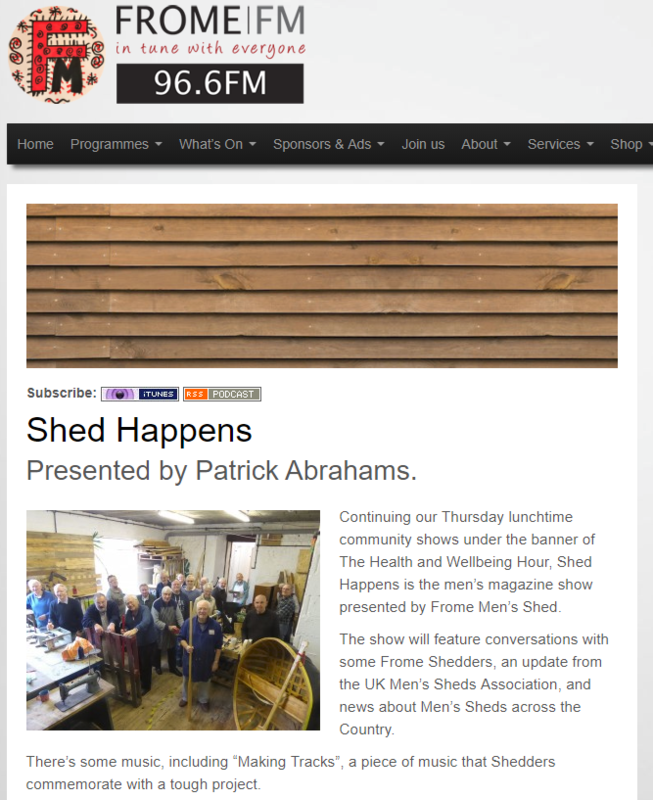 The Radio Show "Shed Happens" was on Frome FM 96.6, and frome.fm on Thursday, 16th November 2017 from 12:00 to 1pm. 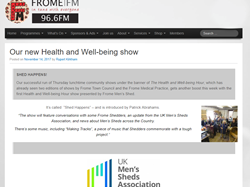 Or you can download as a podcast from the Frome.fm website. 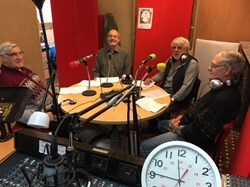 This featured conversations with some Frome Shedders Matt, Leon Russell, Ron Carver and Ian Williams, an update from the UK Men’s Sheds Association from Claire Shelton, and news about Men’s Sheds across the Country. There’s some music, including “Making Tracks”, a piece of music that Shedders commemorate with a difficult project. Age Scotland is today launching a report and survey that outlines the positive impact that the growing men’s shed movement is having on later life. 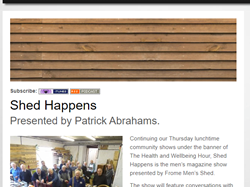 Men from sheds across Scotland have told their story for The Shed Effect. 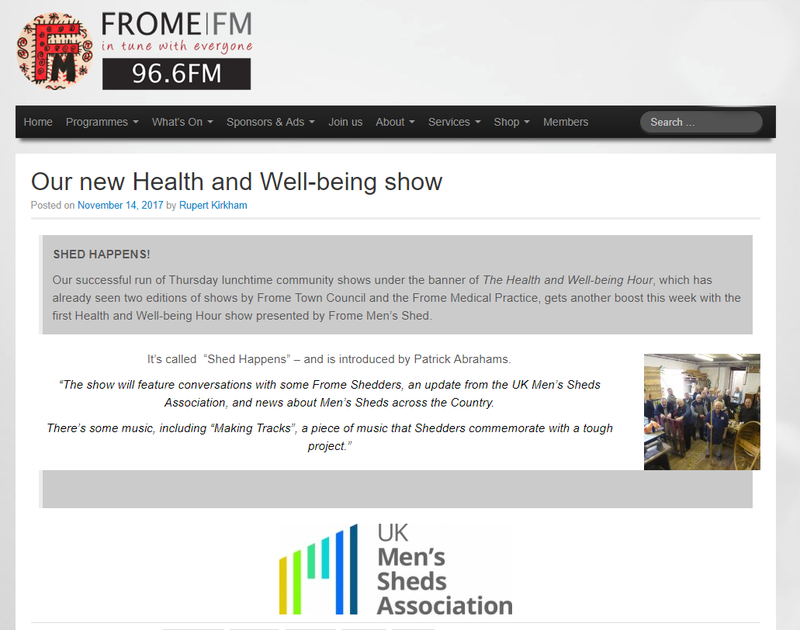 The report demonstrates how men’s health and wellbeing has been lifted by getting involved in their local shed.